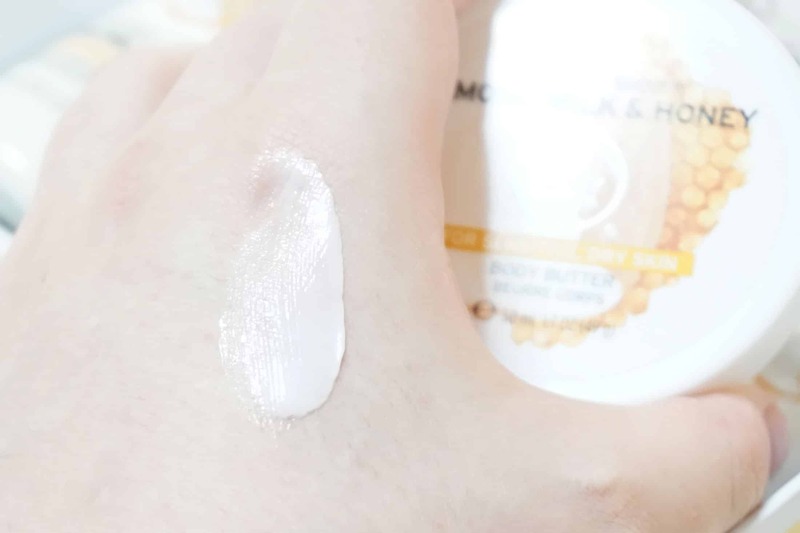 The range is composed of the Shower Cream, Exfoliating Cream Scrub, Restoring Body Butter, Body Lotion, Hand Cream, Cleansing Bar and Bath Milk. 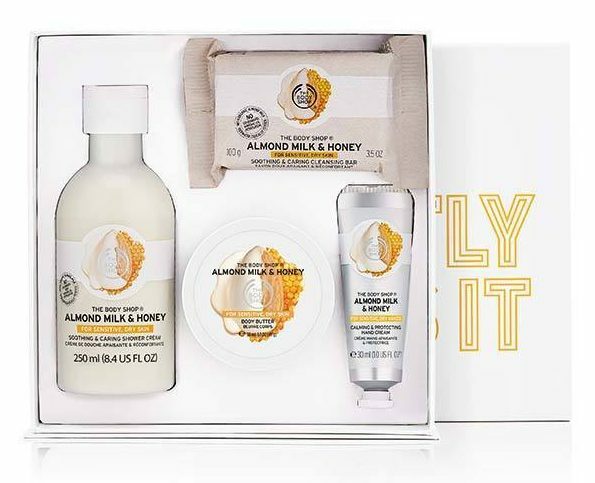 For the review I picked up the Almond Milk and Honey Essential Collection which gives you a taste of most of the range for only £18. 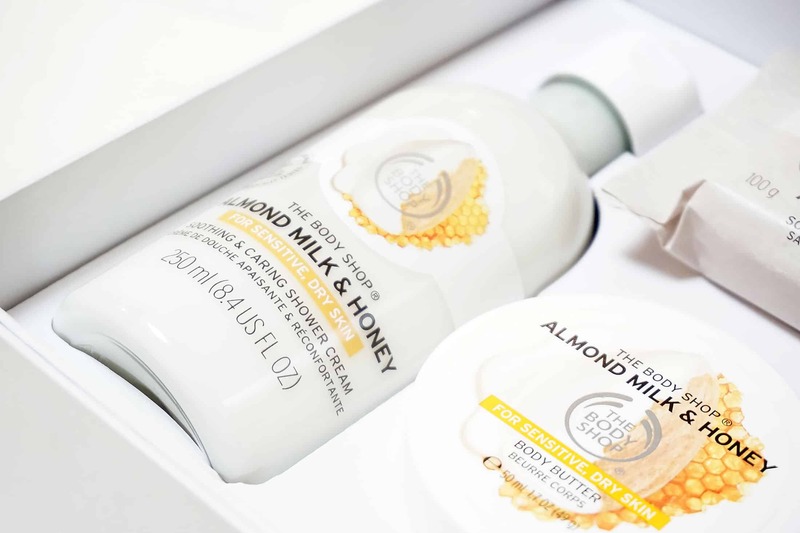 The Body Shop Almond Milk & Honey Essential Selection. £18. The Body Shop. 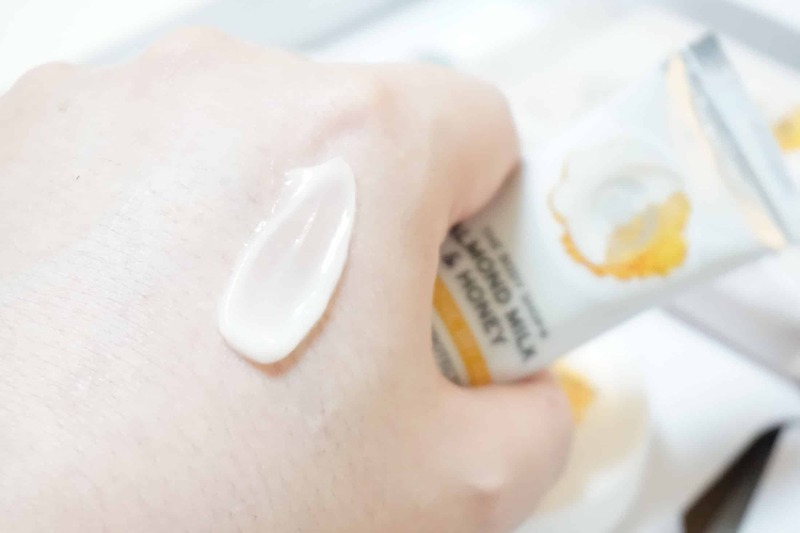 The Body Shop meets you halfway with their range that although isn’t for truly sensitive skin conditions such as dermatitis, eczema and psoriasis; it does target skin that flares up with irritation and easily dries out. 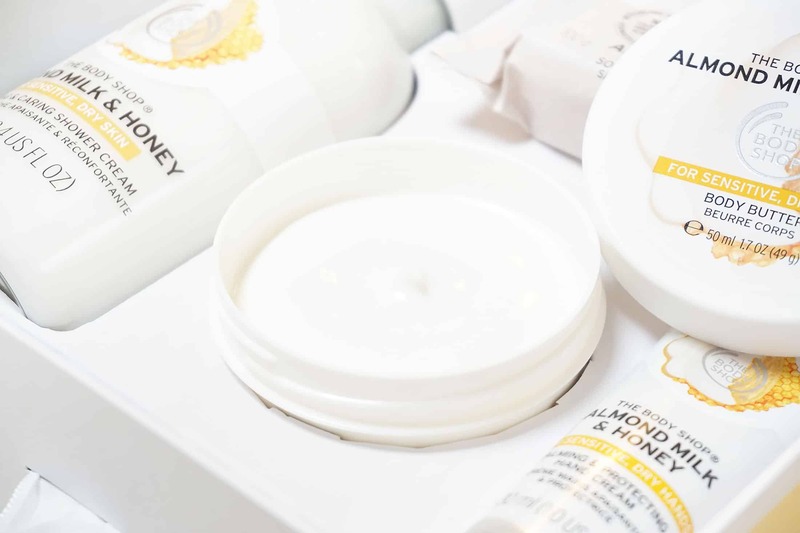 So why isn’t Almond Milk and Honey great for dermatitis, eczema and psoriasis? They are fragranced and, for example, the shower gel does contain Disodium EDTA (a pretty standard surfactant). However, The Body Shop seems to have well balanced skin kindness with a ‘normal’ product; so the shower gel has a tiny amount of foaming so you ‘feel’ clean and it smells delicious rather than the unfettered grease smell a lot of pharma sensitive products have. This article first appeared on MANFACE written by Thom Watson. It was published on Saturday 25th February 2017 and was last updated on Monday 3rd April 2017 at 12:28pm. It's categorised under Bath, Cleanse, Hands, Moisturise, The Body Shop where you'll find more related content.